I decided to make some living wall art with succulents as promised. This time around was more of an experiment to see how it could be done. 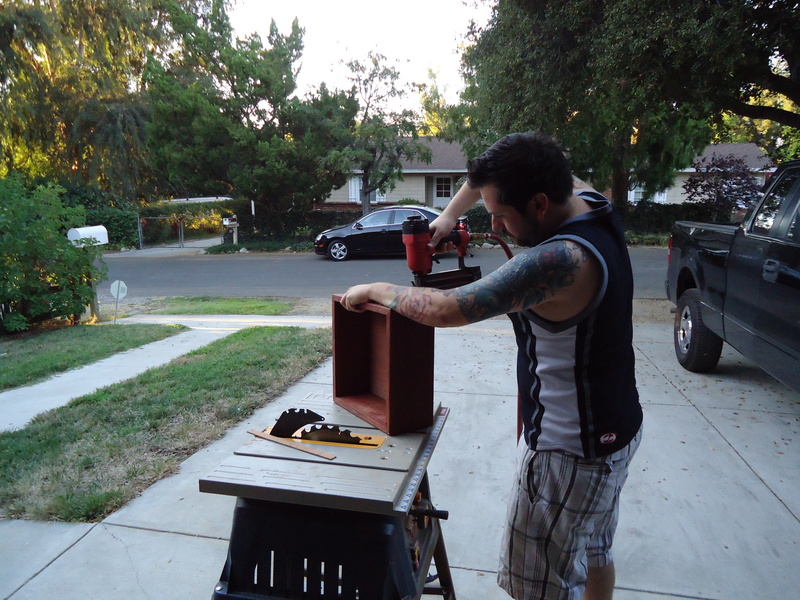 I have compiled a step by step instruction as to how I made my own living art box to hang on a wall. As a note, I made this prototype with the concept of making more with better materials. I have a slew of ideas and creations, but I wanted to get a better grasp on how easy it is to build them. 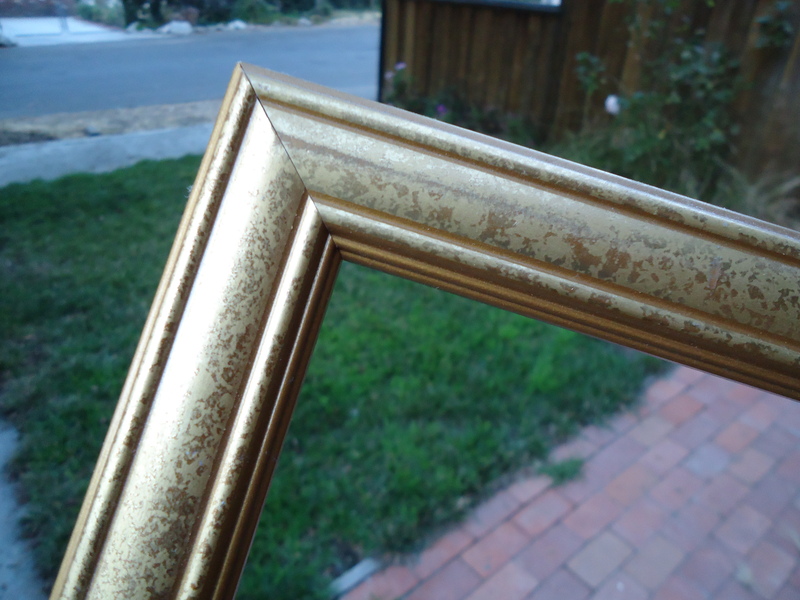 So, here are my notes on how I built my first living art 12″x12″ frame box. 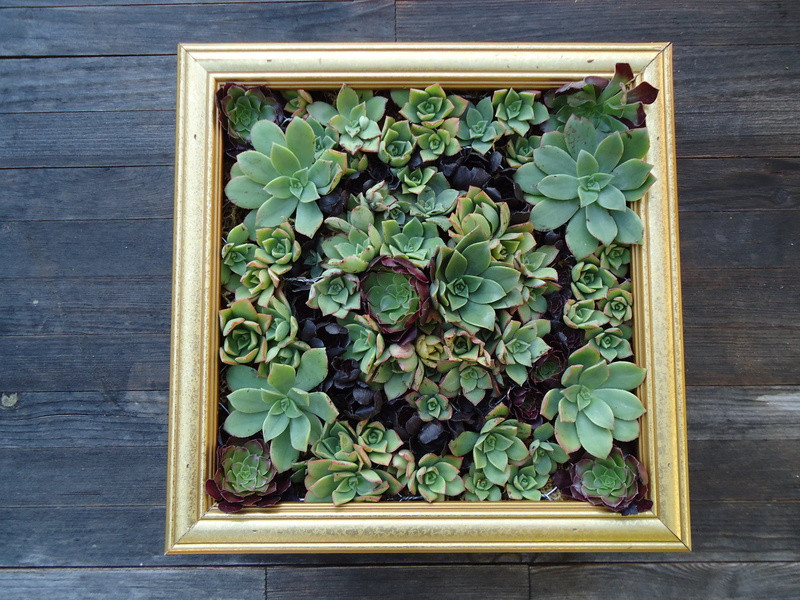 Materials: Scrap stained 1″x6″ Redwood, old picture frame, scrap wire mesh, scrap 1″x12″ Redwood, caulk, cactus mix soil, moss and succulent cutlings. Tools: Table saw, finish nail gun, wire snips. 1. 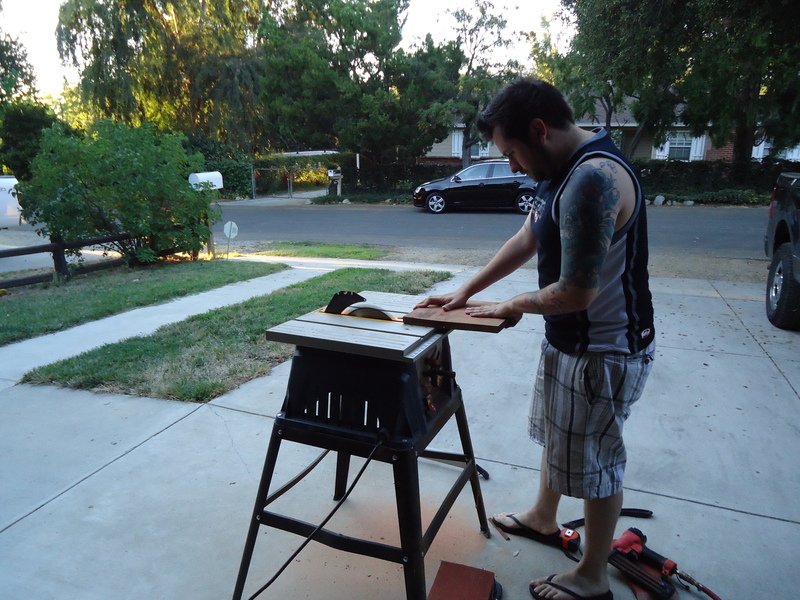 To start I cut the frame box and made each side 12″. 2. Then I finish nailed the box together and made a “top” and “bottom”. The top and bottom pieces were the areas where I nailed the box together so you wouldn’t see the finish nails as easily once the box was hung on the wall. 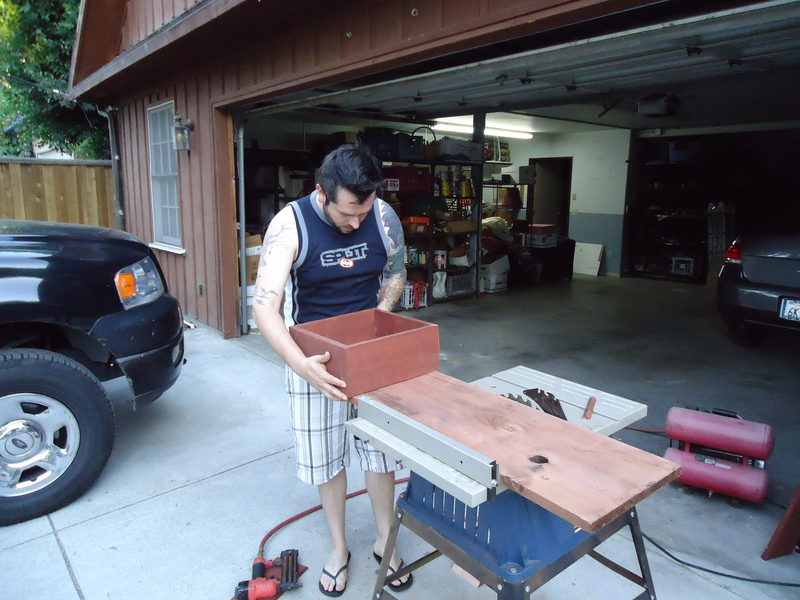 When you put the planter box together, keep in mind the sides that will show and place the best sides of the wood facing the exterior of the box. 3. I cut the back piece and finish nailed it on the inside of the box. 4. 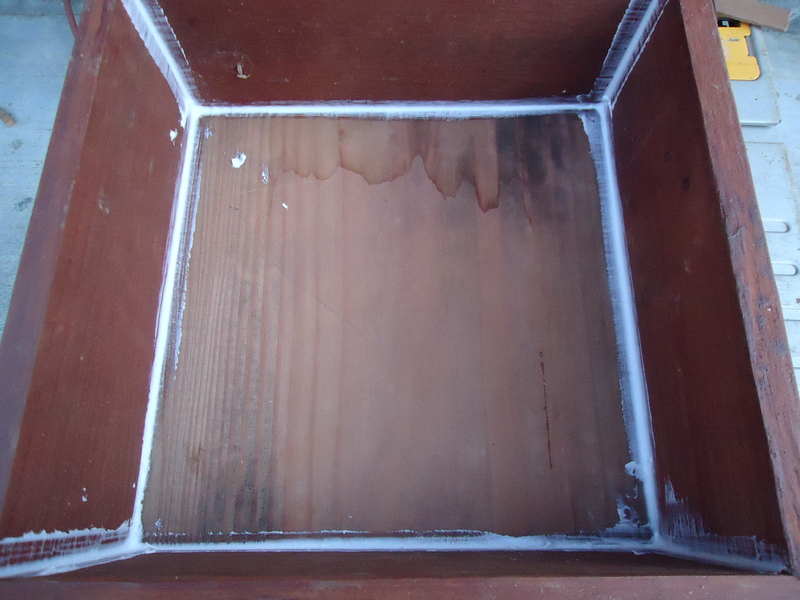 Then I caulked the back and all the corners of the box to seal the planter frame up. 5. 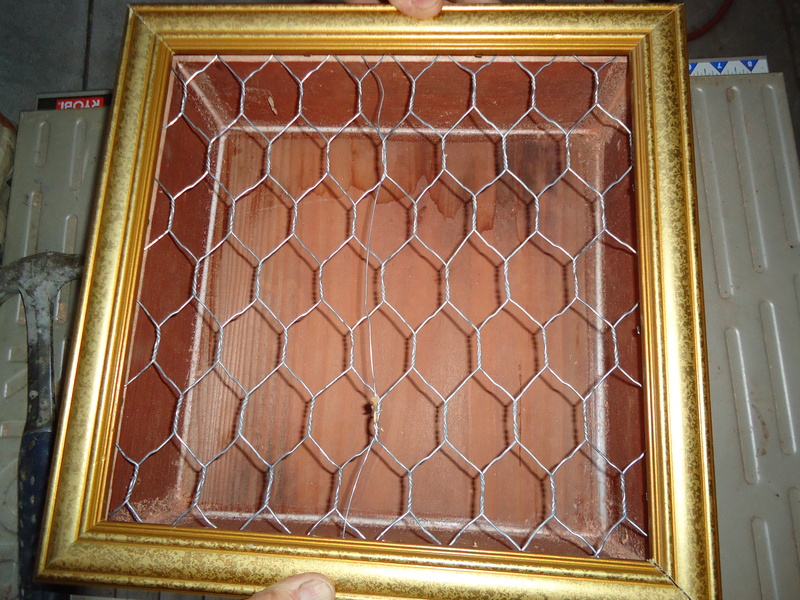 I took the scrap frame and cut it down in size to secure the wire mesh to the frame box and give the box a more finished look. 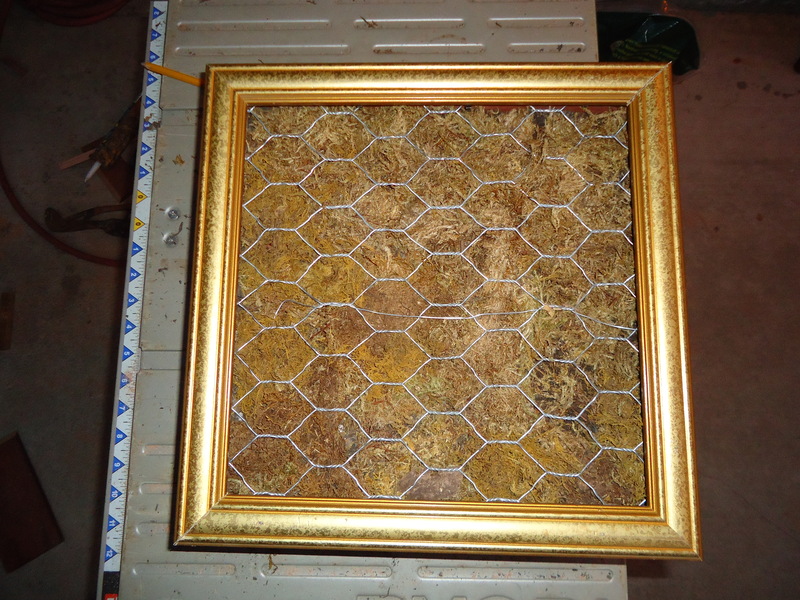 I used finish nails in order to secure the picture frame to the box. 7. 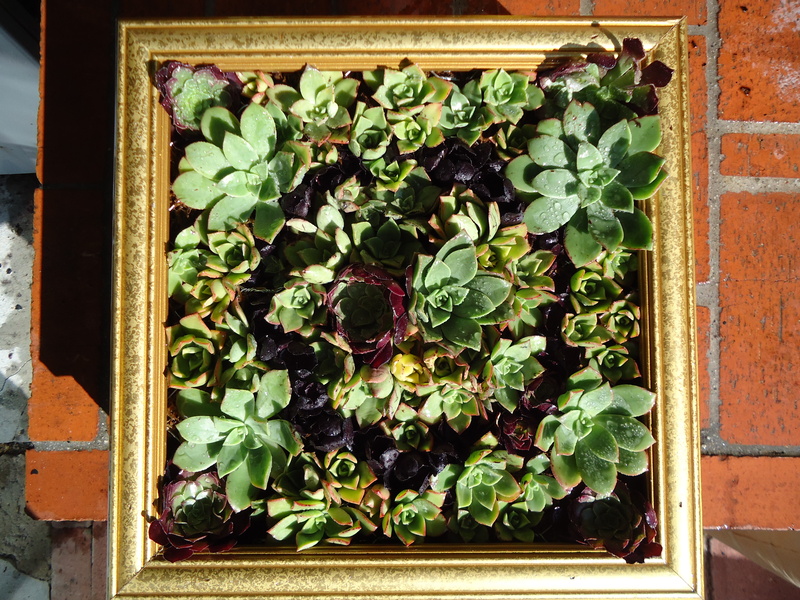 I have quite a few succulents growing in my yard so I cut a bunch off in order to make my living art. The ends of the cutlings should “scab up” after a couple of days and then they are ready to insert into the soil and frame box. The cutlings will branch out new roots once planted in the box and essentially make a new plant. 8. I arranged the succulents how I wanted to make something interesting and beautiful. They will take root in about 6 weeks and at which point, I will put the planter box vertical. This prototype box ended up being heavier than I expected due to it being deeper than necessary. Next time I will try out a lighter wood and the planter box won’t be as deep. Redwood is good to use with soil since it has natural preservatives and won’t rot so easily. Hardwood is also another great alternative and is pretty much termite proof. I will most likely use a lighter wood and give it a nice stain or something. Stay tuned for the rest of my creations with this living art idea. I have ideas ranging from modern to rustic as well as some art concepts in mind. I started an etsy account and I’ll probably sell some of my designs there as well.